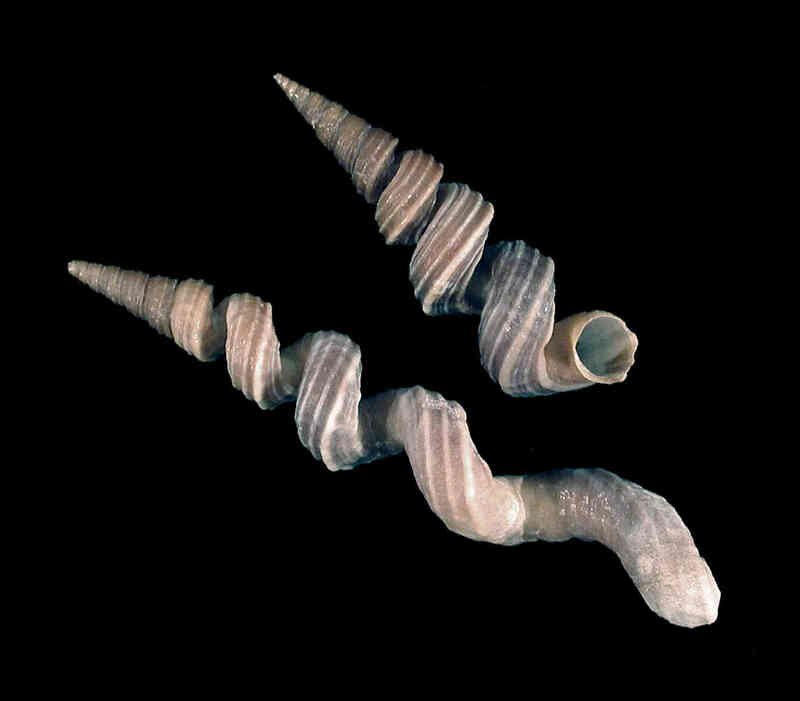 Shell size to 80 mm; shell uncoiled, with tightly coiled juvenile shell; wound (“turritella”) stage about 25 mm. Adult whorls squarish in cross-section. Sculpture of three spiral cords. Color brownish.